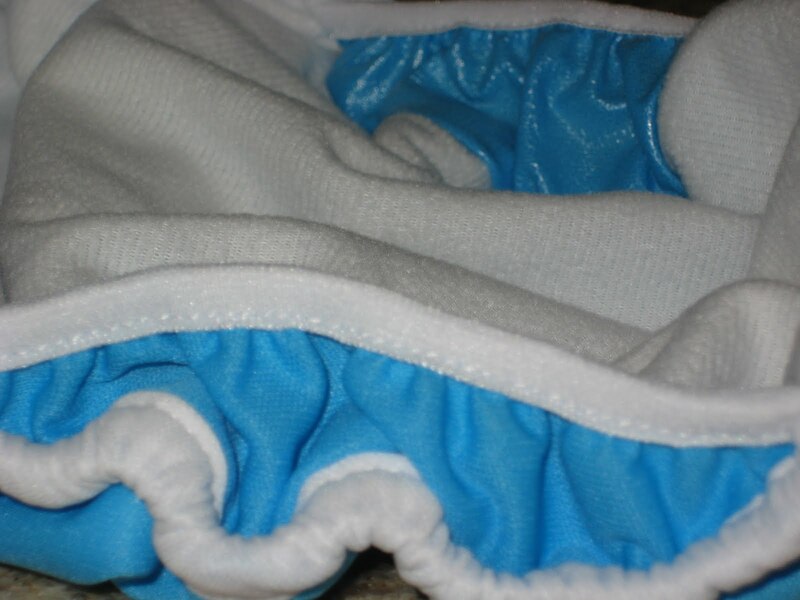 I have heard people mention Thirsties duo-diapers when discussing night time diapering options, and a lot of people were interested in them after browsing the site for the fab wipes giveaway. 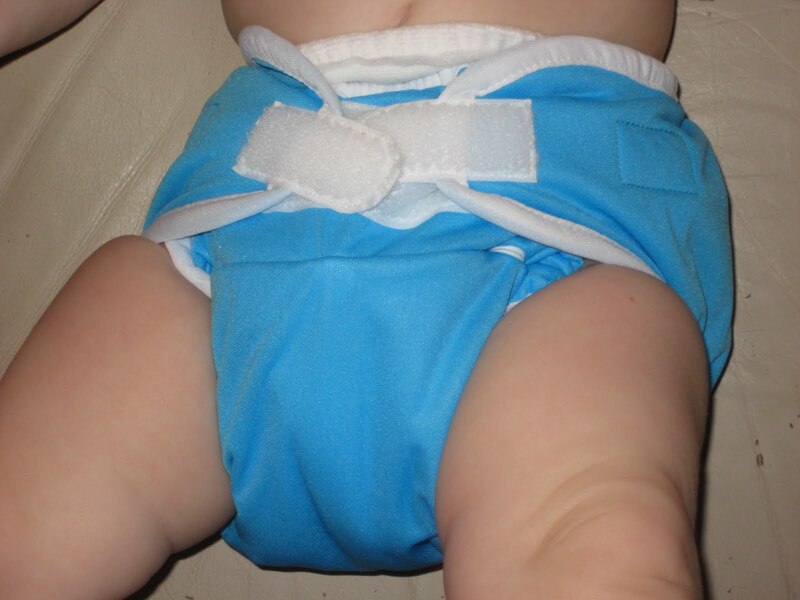 I was able to get one at my favorite online cloth diaper store for $17 and change after coupon, free shipping, and I had a few bucks in my Paypal account. 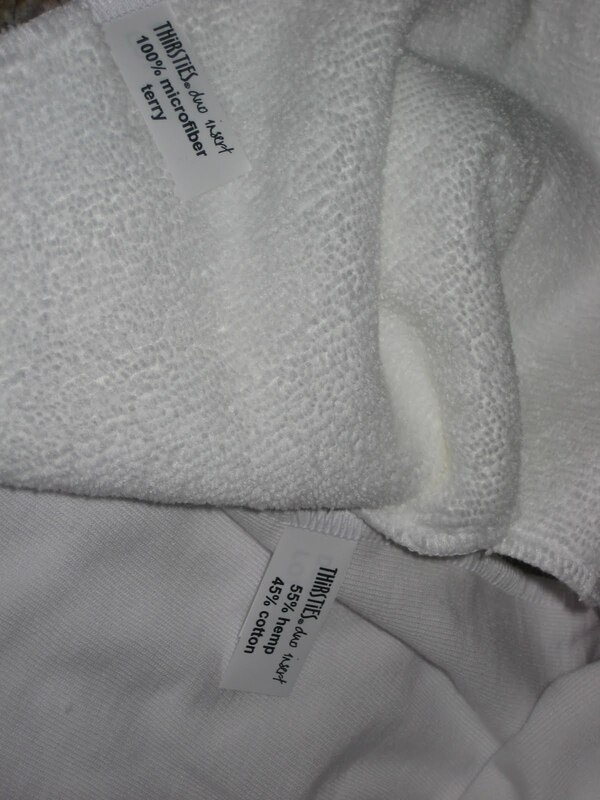 Before I forget: Check out my “Cloth 101” post at Village of Moms. Today it’s basic cloth diaper types. 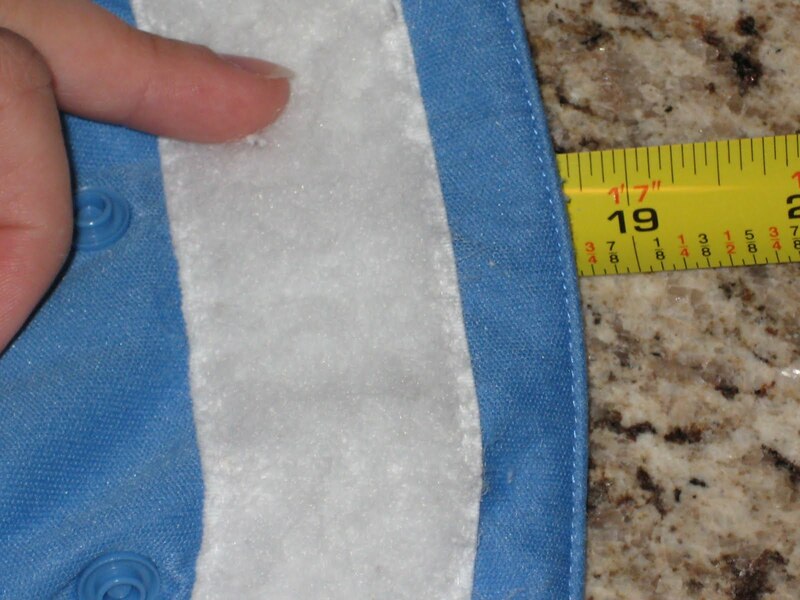 Many one size diapers say they will fit birth through potty training, but most people find they don’t fit well until the baby is around 10 pounds, and some say they don’t fit quite through potty training. That means even if you buy one size diapers, you could potentially have to buy three sets of sizes; newborn, one-size and XL/Toddler. With Thirsties, you’d only have to buy two. My guy is just over 17 pounds, so I chose the size two in Ocean blue. One thing I love is that the pocket is open on both sides, which means you don’t have to pull inserts out before washing, woo-hoo! 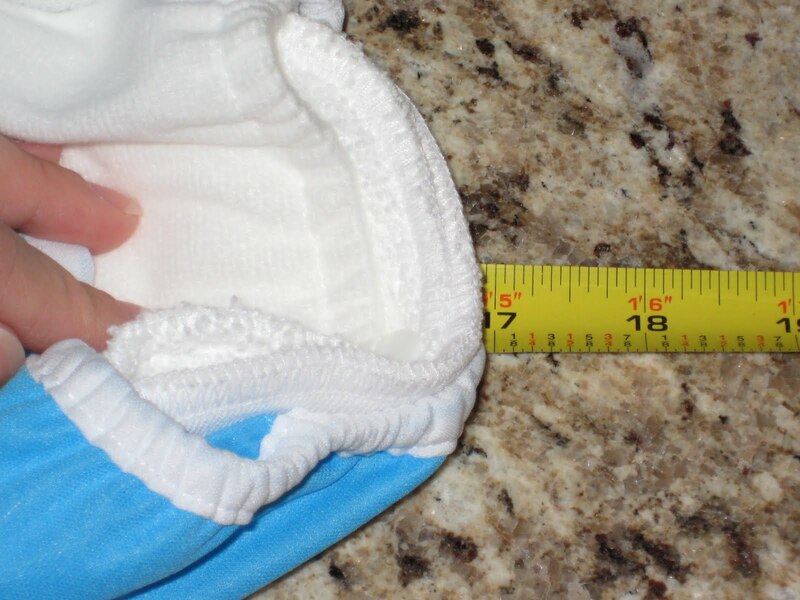 Overall, the Duo Diaper size 2 is just a bit larger than a Bumgenius 3.0. Here they are one on top of the other, rises unsnapped. Too bad they can’t “cuddle” and make some diaper babies! Wouldn’t that be cute, some wee little BG/Thirsties babies? Hee hee. The small Thirsties setting seems to fit similarly to the Bumgenius 3.0 on the medium setting. 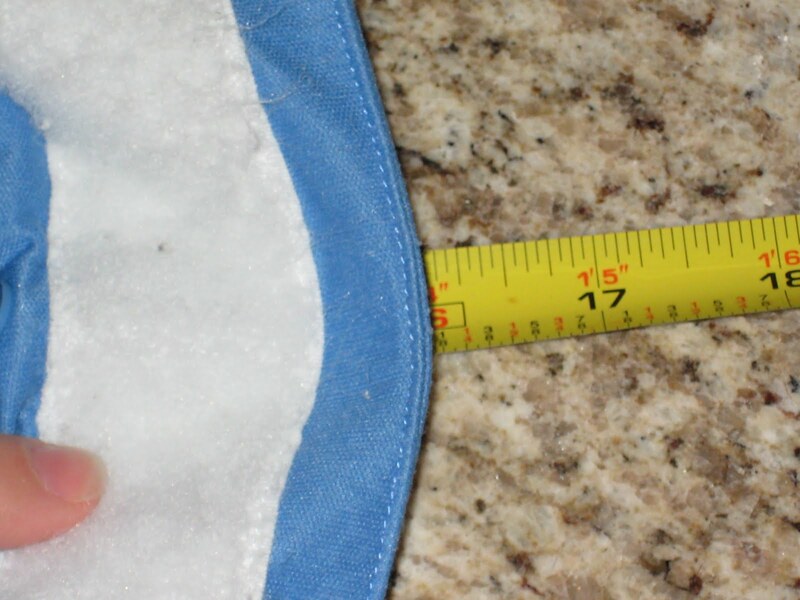 Notice that the microfleece inner was hanging out. I didn’t find info about this happening, so I figured it might wick if it was hanging out, and I fixed it. It’s all good in the hood, but I prefer a diaper that doesn’t require any special instructions (make sure you do this or that, don’t let the xyz hang out!) I like diapers that anyone (who can put a sposie on) can just pick up and put on. There’s a close up of the leg opening. If the PUL touched his skin, it didn’t bother him. The first two times we used this diaper, he wore it for around two hours as usual. The third time, I put it on him before we went to drop my daughter off at preschool. It’s about 30 minutes round trip, but while we were out, my Mom asked if we could stop by before we headed home. I told her we couldn’t stay long since I didn’t have any diapers with me. By the time we left, he’d had the diaper on for over 2 hours, around 2 1/2 by the time we got home. He fell asleep on the way, so I took him upstairs, nursed him and snuck him in bed, thinking it wouldn’t work. Well don’t you know that my little non-napper indeed napped. By the time I changed him, he had been wearing the diaper for over 4 hours! Eek! Not only did we have no leaks, but there wasn’t a hint of redness on his tush either! Of course now I definitely want some size 1 Duo Diapers for my non-existent newborn baby! I know that the goal of all diaper companies is to get you to buy a complete stash of just their diapers, but I’d never recommend that. Buy one and see how it goes. If you like it, buy a few more. I still wouldn’t recommend putting your stash in one “basket” so to speak. Make sure you have a variety of brand and styles. As your baby’s shape, size and wetting habits change, things may not work quite the same for you. Or, something you loved at first, you might not like so much alter. Just sayin’. See the size 1 on my newborn. I also have to see how the velcro holds up over time. For now, it’s great! >I bought 2 size 1s to try on the new baby. I was getting nervous obout the PUL gussets touching the skin…but after your review I'm a little less nervous! Thanks! >I'm waiting for my Duo Wrap to come in the mail! Can't wait to try it out – I have an all Flip and bumGenius stash so far, so this is my first venture away from Cottonbabies! I couldn't resist the cute prints! 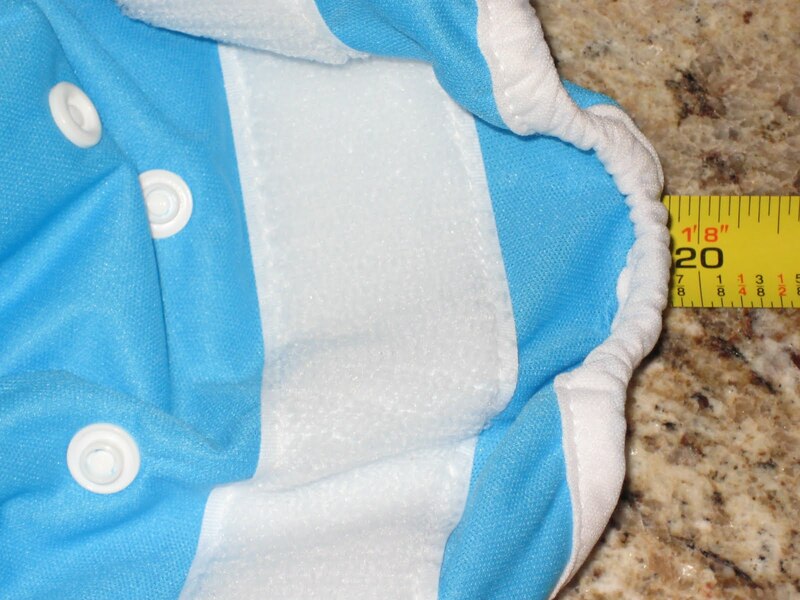 >I just tried a Thirsties duo diapers (LOVE the prints!) and I love them. Since my 4-month-old is already over 17 lbs, I am staring to doubt that some of the one-size will last through potty training! Therefore, I've been finishing out my stash with these and Knickernappies!